7-inch multi-touch screen for ODROIDs gives users the ability to create all-in-one, integrated projects such as tablets, game consoles, infotainment systems and embedded systems. 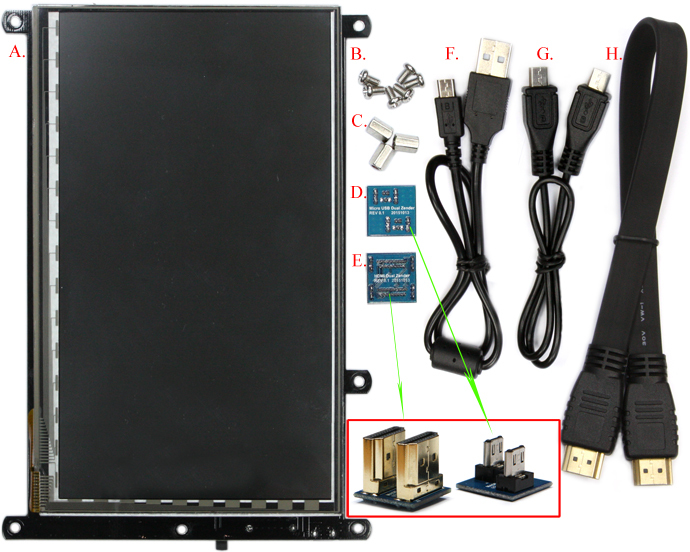 The 1024 x 600 display connects to ODROID-C2 / C1+ via an HDMI link board and a micro-USB link board which handles power and signal. Just connect a DC plug in to the DC-jack on C2 / C1+, and you are ready to play, once you install the latest OS up- date. 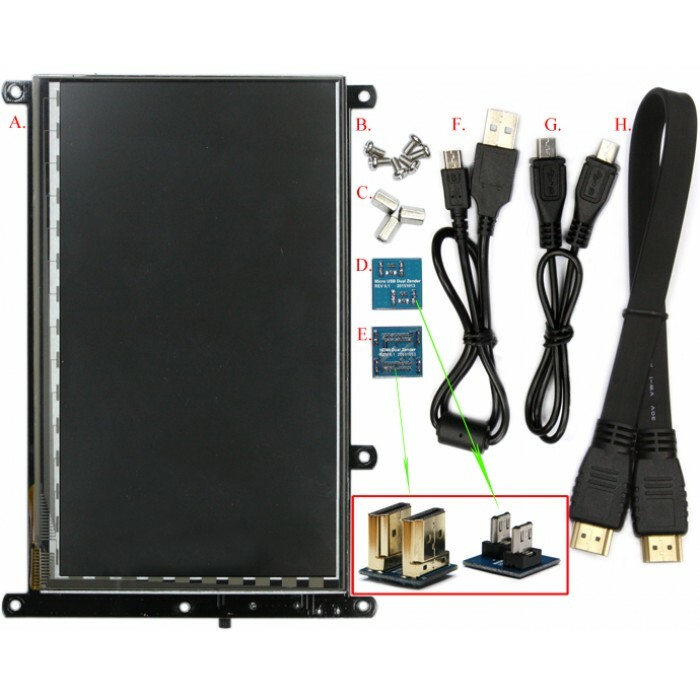 This high-quality touchscreen is specifically designed to work with both Android and Linux on the ODROID-C1+, ODROID-C2 and ODROID-XU4. - ODROID-XU4 users : Micro USB-DC Power Bridge Board is highly recommended. You can easily attach the C2 / C1+ board onto the backside of the LCD screen in order to create a fully integrated system. It also works with the original C1 board if you use a micro-HDMI cable and a micro-USB cable. Option 1 : Mount the C2/C1+ board on the LCD unit with 3pcs of 8mm PCB supporters. The HDMI link board and micro-USB link board are used for interface and power supply. Option 2 : A Micro-to-micro USB cable and flexible flat HDMI cable can be used as well. The 35cm cable kit is included. Compact Stereo Speaker for VU7A Plus and VU5ADescription- Works with VU7A Plus and V..